Home » Mobile App Development » App programming: is being an expert in development enough? The app programming process is long and complex, so having the best app experts and developers in an app project is paramount for it to stay afloat. Thus, regardless of whether it’s a small or a large project, you must always be surrounded by experts of all possible fields. However, we cannot always include so many experts in our team − be it for budget-related reasons or simply because the project’s scope doesn’t require it. In such case, hiring versatile and multi-talented mobile app programming experts is the right choice. It also has many positive aspects from the programming expert’s perspective. The first and most important of these is that − as a freelance professional − you can enlarge your market and get more job opportunities. You’ll be able to advertise yourself as a mobile marketing expert and not only as an application developer, for example. The main thing when creating an app is − of course − having an expert who can programme apps. But as we have previously been discussing, this is not enough by itself. Although specialisation is very good, you must be an expert in as much areas as you can if you work on a project basis or if you’re a freelancer. When a customer is interested in your portfolio or CV he will want to ask you some things and you must be prepared to answer these questions and be able to show that your knowledge is not limited only to developing apps. First of all, you must state clearly which programming languages you master. In this regard, the more you master, the better. Programming apps for Android and iOS is especially in demand − as you know − but it never hurts to know other languages such as Windows Phone or BlackBerry. It will always be a plus, even if you don’t get to programme applications in these operating systems very often. Show a sample of your work. Likewise, you’ll be asked to show proof of what you’ve already done. This is a way of checking if your way of developing apps fits with your customer’s business and project. Having your work available online is a good way of organising it and having it on hand for your prospect customer. There are many options: you can choose to have your own website, add all the information to your LinkedIn profile, etc. However, remember to complete your portfolio in Yeeply if what you seek is to be commissioned projects. Do so by adding links to Google Store for your Android apps and to App Store for your iOS apps, so they can be downloaded. “I want an app that generates money. How can you achieve this?” In most cases, customers do not know how to define the limits between the roles carried out by each different kind of professional clearly. It’s therefore recommended − if you make a living out of app programming − that you get to know all disciplines within the app creation industry as much as you possibly can. In this case you must know how to monetise apps and make app development profitable. 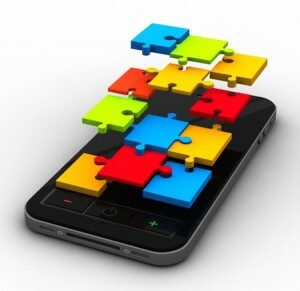 And, what’s more, also how to define mobile marketing strategies. Even if you’re not the person ultimately responsible for the app’s marketing, it will always be highly recommended to have notions on the matter. Knowing how is the app going to be monetised before starting its programming may prove incredibly useful; grasping the app project’s ‘general plan’ will make the job easier. What can you offer as a plus when programming apps? The app’s owner will want something more from you besides working on its development. The project will be yours if you show him that you can contribute further to it and that you get involved. A skilled programmer who also designs apps. When it comes to programming, reconciling mobile app development with app design is, indeed, one of the great conflicts that occur. As person in charge for the app programming process, if you can also incorporate the designer’s point of view you will be able to satisfy the end user regarding the two most important aspects: beauty and user-friendliness – which are both to always be taken into account when developing mobile applications. Well, so much for the reasons why you should be an expert in something more than app programming if you devote yourself to the mobile development industry. To summarise, the main idea is that through patience and hard work you’ll obtain sufficient knowledge to create a successful app all by yourself. Even if you are taking on tasks such as − for example − programming in Android and implementing the app’s design virtually all the time. If you’ve come this far and are thinking this, it means that you are on the right track. As an expert in the industry, Yeeply has witnessed how the mobile sector evolves and we speak with full knowledge of the facts when we say that application programming alone is not enough. In fact, statistics avouch that − on average − a person will be employed in several jobs throughout his life that will be unrelated to what he first studied. I.e. we are all going to have to redirect our knowledge and skills to be able to fit better in the labour market. And if we focus on the freelance developer or the app programming labour market, changes come even faster and are more demanding due to the intense requirements of these industries. Now you know the answer to the big question. Regarding app programming, is being an expert in development enough? If you are willing to become a freelancer, the answer is a categorical NO. We offer the possibility of finding these projects you are looking for in our platform, as well as finding work in app design and promotion on top of app programming. Just get down to work and become a comprehensive mobile expert! Are you ready to get your hands on this new challenge?